Looking to bring fluency to your classroom without leaving the fun behind? 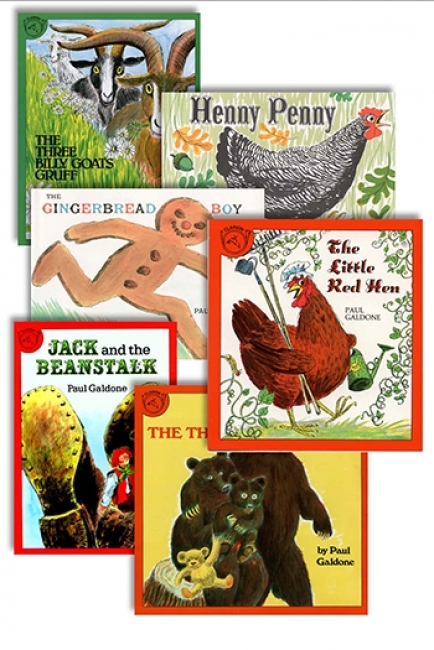 As young readers become more fluent they vastly improve their comprehension. 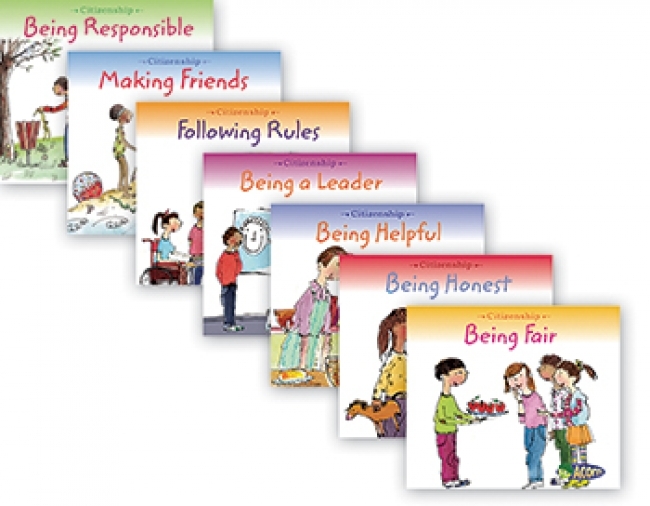 To accomplish this, children need books and tools that are captivating and inspire a positive reading experience.All readers in this set include a refrain that provides students with the built-in opportunity to reread the same text. The rhythm, rhyme, repetition, and dialog provide opportunities for students to use voice inflection and expression. 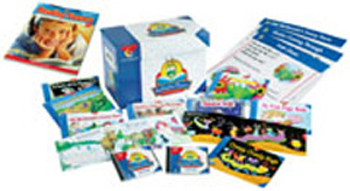 The motivating content provides a fun, interactive reading experience that will inspire young readers to want to read and reread these books over and over.This collection comes with 6 each of 24 engaging readers, 2 read-along CDs that contain all 24 stories, 24 eye-catching posters, and 24 divider tabs w/title and guided reading level, and the must-have Reading for Fluency Resource Guide. Teach literary elements and meet the standards! Boxed set includes 6 copies of 8 student books each focusing on a specific literary element, plus a teaching guide. 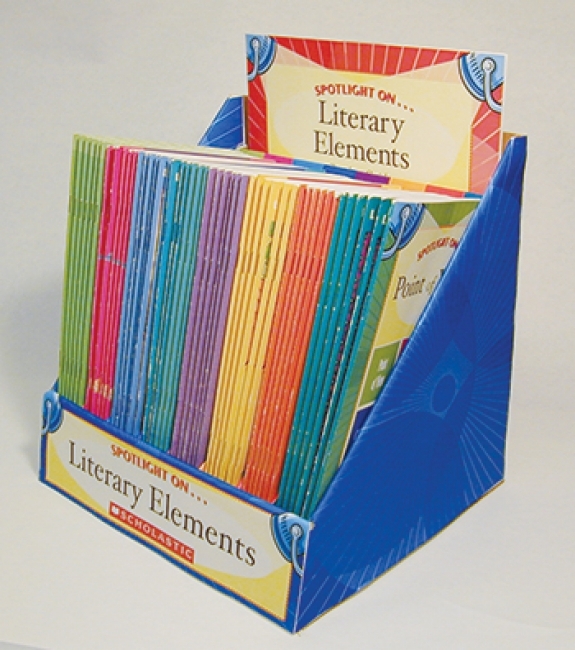 Teaching must-know literary elements is easy with this unique boxed set. It includes 48 books (6 copies of 8 48-page anthologies) for students plus a 96-page teaching guide. Literary elements covered: Character, Figurative Language, Foreshadowing & Flashback, Plot, Point of View, Setting, Theme, Tone & Mood. Each student anthology includes 4-6 engaging stories, poems, or plays that are perfect for teaching specific literary elements. The teaching guide includes mini-lessons, graphic organizers, student reproducibles, and great activity ideas. A storage box keeps everything organized. An easy way to meet the language arts standards! Includes: Forty-eight 48-page books (six copies each of 8 titles), 98-page teacher's guide, Sturdy storage unit box (shrinkwrapped): 12"H x 12-1/4"W x 4-1/2"D; student books: 5-1/4"x7-5/8", teaching guide: 8.5"x11"
Learning the alphabet is fun with these easy-to-read books on kids' favorite topics from apples to zebras! Inside this sturdy little box, you'll find 26 photo-filled nonfiction titles that target and teach the shape and sound of each letter PLUS a mini-activity book, motivating stickers, and more. A one-stop resource to teach your child the ABCs so they can soar as readers! Grasping must-know math concepts is easy as 1-2-3 with this comprehensive set of readers on the topics young learners need to know to meet the new math standards: numbers, counting, addition, subtraction, shapes, simple fractions, equivalents, sets, time, measurement, patterns, and much more. Inside this cheery red tub, you'll find six copies of 25 engaging titles (for a total of 150 books), which makes them perfect for group learning. Includes a big teaching guide filled with lesson plans, skill-building reproducibles, and everything you need to lay the foundation for math success. A super way to teach writing AND math together!